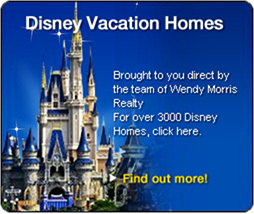 Welcome to Wendy Morris Realty Windermere Florida 34786 - your Central Florida online resource for buying, selling and leasing Central Florida real estate in the local areas of Windermere and Dr Phillips . Our web pages are packed with Central Florida community and area information. Our real estate offices are located in Windermere Florida and situated around the Butler Chain of lakes. Our goal is to provide exceptional real estate services throughout Central Florida and specifically in Windermere ,Dr. Phillips, Orlando, MetroWest, Gotha, Winter Park, Winter Garden and Lake Mary. For your convenience our real estate office is open seven days a week but feel free to browse homes for sale in Central Florida right here on our site. We have taken the steps to provide every home for sale in Central Florida listed in the Mid Florida MLS to be available on our website. Wendy Morris Realty and her highly trained real estate agents are ready to assist you with all of your real estate needs, buying, selling and leasing Central Florida real estate.